Mark is a Broadway and West End actor, currently starring as Chris in ‘The Play That Goes Wrong’ on Broadway. 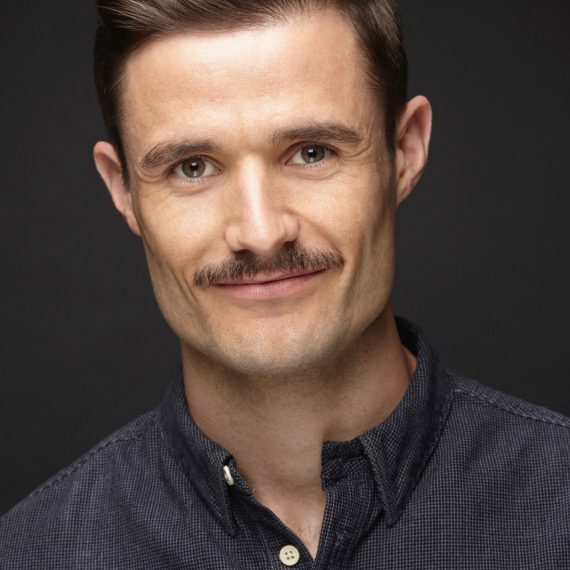 Having trained professionally in London, his UK credits include starring roles in Ghost The Musical, Wicked, Oklahoma!, The Rocky Horror Show, High School Musical, Spamalot, among others. He was invited to the US to join the First National tour of The Book Of Mormon playing the role of Elder Price in 2012. Since living in New York Mark has starred in Mary Poppins, Singin’ In The Rain, AIDA, Finian’s Rainbow and The Fix as well as many developmental workshops, readings and concerts. Mark spent years in the UK teaching, directing and coaching at some of London’s most prestigious theatre schools and has a huge passion for promoting youth theatre. He founded and directed his own school which provided young talent in Wales the opportunity to work alongside West End professionals. Mark co-authored the theatre advice book ’Secrets Of Stage Success’ which was released in 2015 and he is currently writing new material to promote theatre and the arts. Mark is very proud to be a teacher at AMAW and is grateful to Tony, his fellow teachers and talented students for being a constant source of inspiration, discovery and bravery.